Mike Green & Associates : Jayme Stone’s Lomax Project Nominated for a 2016 Juno Award and the Folk Alliance International Album of the Year! Jayme Stone’s Lomax Project Nominated for a 2016 Juno Award and the Folk Alliance International Album of the Year! Jayme Stone's Lomax Project (Borealis Records) has been nominated for a Juno Award for Traditional Roots Album of the Year. The 45th Annual Juno Awards will be broadcast live from Calgary, Alberta on April 3, 2016. 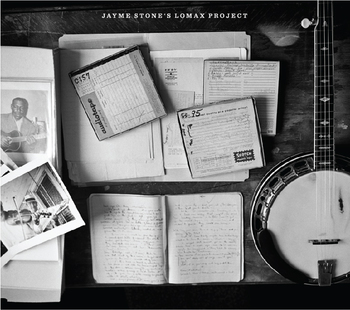 Jayme Stone's Lomax Project was also nominated for Album of the Year by Folk Alliance International. The winner will be announced on Wednesday, February 17 in Kansas City, MO at the Folk Alliance Awards Ceremony. Congratulations on the nominations, Jayme!